It came and reinvented the web browsing experience, changed the way we surf the web and soon millions of people worldwide started adopting it with open heart to appreciate its generosity, speed, flexibility, power, stability, security and other richer features. This way, Mozilla Firefox soon became the king of all browsers. People moved from the buggy and problematic internet explorer and they are still happy with the switch to Mozilla Firefox, they made long ago. The writer of this article himself uses Firefox even today when a strong competitor like Google Chrome has established on the browser scene. Firefox project was originally titled Phoenix but it was renamed to firebird due to trademark conflict. The name firebird matched the name of free database software project – firebird and hence finally it was renamed as Mozilla Firefox. 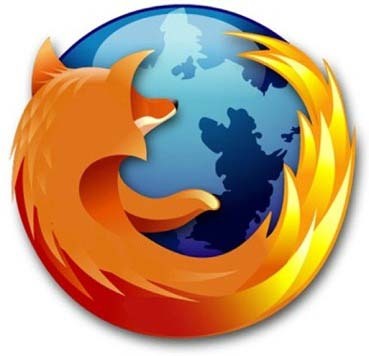 Firefox is now the registered trademark of Mozilla Corporation. 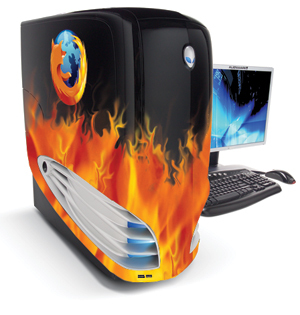 The first firefox version i.e. Mozilla Firefox 1.0 was launched on 9 November, 2004. Since its launch, it never stopped, it continued to evolve bringing sophistication and simplicity on board. Tabbed Browsing: In a Firefox window, you can browse multiple sites. Each webpage can be viewed in separate tabs. The new tab page contains thumbnails of most-often visited websites so you can launch them with single click. Simplified user interface : Very neat and clean arrangement. Firefox UI is very simplified. Even a newbie can start using it without requiring any kind of assistance or help. There is address bar, next to it lies the Google search bar. The address bar acts as search box as well if you type any query directly into the address/url bar. The address bar auto completes as you type hinting you to the previously visited websites. Bookmarks toolbar is also there so that you can have one-click access to the most-visited websites. Using Gecko layout engine, Firefox renders even the most complex websites in a proper way. It can handle heavy flash or video or game websites easily. It doesn’t break the design of websites. It renders webpages very fast, flawless. Browsing on Firefox never feels uneven and laggy. It is smooth and steady. Mozilla Firefox Addons – These are, as the name suggests, tiny tools and utilities which can be added to the browser to enhance and extend the functionality of Mozilla Firefox. This is where the power of flexibility comes. With Firefox, you are just limited by your imagination. Mozilla has the largest repository of addons and extensions. The addons add additional, unique features and also extend the range and scope with which we can customize Firefox. Mozilla Firefox Persona – These are actually Firefox themes or skins. With single click, you can change the appearance of browser to beautiful designs. There are tons of such Firefox persona available for you to chose and change the appearance as you want. Web-developer friendly: Firefox is truly a browser meant to respect and help web designers and developers. Mozilla Firefox itself contains several web developer tools like web console, responsive design view, style editor, debugger, scratchpad, etc to ease the work of website development. Furthermore, you can extend by adding more web-development related addons. 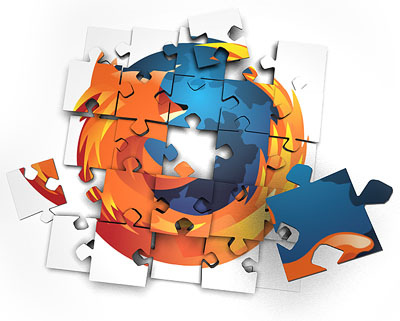 Most of the web developers have confessed that with Firefox browser, they are at the ease of developing. Also when it comes to rendering, Mozilla Firefox causes less strain to the web developers as it renders the website as they want without requiring special tweaking to css designs. Web security: This is one of the most touted feature of Firefox. From the start, it has always been the core focus of Mozilla Team to ensure the most secure environment on Firefox browser without limiting its functionality or level of interactivity. Mozilla has always been very responsive and quick to fix any kind of vulnerabilities as soon as those are discovered. They care about user’s security. It warns you about malicious websites, protects your from phishing, blocks unwanted pop-ups keeping you safe. Speed : For any web browser to be successful, it must offer good speed. Mozilla Firefox is, no doubt, one of the fastest web browser available. Rendering speed, java script execution speed, website fetching speed – everything is well optimized on this browser. Features like making multiple connections simultaneously to fetch webpages, network http pipelining, caching, etc further add to the browsing speed. We can call it the fastest browser. Free and Open Source : Yes, This fine piece of software is available for free. To add to the freedom, it is open-source which means that you can customize its source code and change it to meet your own needs. Being free and open-source, Mozilla Firefox has worldwide support of thousands of developers who contribute in one way or the other adding scope for further development. Firefox Sync : Not only does your browser remember your id and passwords on various websites, form-data but also make backup of the same on cloud i.e. online. With Firefox Sync, your personal browsing data like bookmarks, usernames, passwords are all saved on to a safe location on internet so that you can always synchronize your session on other devices be it mobile or on another computer. This offers your portability and security. HTML 5 Support : It fully supports and welcome current and upcoming web standards like HTML 5, CSS 3, etc. It is always compliant with latest changes and updates in web standards and html attributes and properties. It also supports Google’s SPDY protocol. It also takes advantage of hardware acceleration features. Private Browsing Mode : You can surf the web privately without leaving track of your browsing session locally on the computer. This is really useful for guest surfing or for privacy reasons. Download manager : The inbuilt Firefox download manager supports pause and resume feature and downloads your files fastly than other browsers. Not to mention, you can always have addons for advanced download manager capabilities. About:Config – This is the core of customization for a normal Firefox user. Just enter About:config in url bar and you can start customizing Firefox without in-depth programming language by adjust boolean, string and other values in thousands of options listed on the configuration page. This brings power of easy tweaking in your hands. Support for fast and standard keyboard shortcuts, for example, just press ctrl+d and it bookmarks the currently active webpage. Likewise, there are several firefox shortcut keys which can get your job done pretty quickly. Availability for several platforms like windows, mac os, linux os, android mobile os. So, on whatever platform you’re, Mozilla Firefox is available to enrich your surfing experience. Availability in multiple regional languages. Get Firefox in language you understand and relate to. Automatic Update: The latest version of Mozilla Firefox includes the ability to update itself automatically whenever a new version is released. Thus, you don’t need to worry anymore. Just install it and you’re done. It takes care of itself automatically as and when needed. Moreover, it is on rapid release schedule which means Mozilla team is actively working on to develop the next version and bring more power and features to the internet users. The latest version is optimized even for systems running on low resources. Firefox has significantly improved its memory consumption techniques and therefore does not slow down your computer. In short, Mozilla Firefox is the best free web browser. Mozilla Firefox Free Download latest version for windows xp, windows 7, windows 8, Mac OS x,Linux, Android Mobile from here . 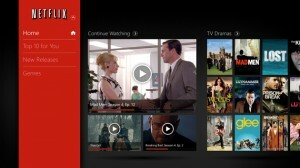 Note: The link given above is of the latest version on release channel. We always update this post with Firefox download links of the latest browserversion along with the details of what’s new in the Mozilla Firefox latest version. Just visit the link. Stay updated with our blog for more amazing tools and softwares to change your digital life and make it more productive, snappier. Like us on Facebook. If you’re upgrading your browser, Firefox checks for plugins compatibility during install process and automatically disable incompatible plugins and addons. If you’re installing Firefox for the first time, it is very easy to install, just hit on the next button again and again, accept the terms and conditions and install it. You don’t need to read any How To Install guide. During installation, you also get option to import your browsing data from other compatible browsers like Google Chrome or Internet Explorer. messages on which website doesn’t open? What problems are you facing, be more specific. iAM USING FIREFOX 10 VERSON.THIS IS A BEST RESLT. ever since. I previously used Firefox 4 and loved it. Firefox 4? OMG! Currently Firefox 17 is the latest one and hence you must always use the latest version of firefox. latest verson. I hope this verson of Firefox will be compatible.